At Leonardo Diagnostic Tool, we are proud to offer the original and premiere luxury car scanner on the market. We take pride in the fact that we not only offer cutting edge software to our clients from around the world, but we go above and beyond the call of duty in offering technical support in the way that best suits you. We will assist you with all of your diagnostic car tool questions that you may have, either online or over the phone; whichever you prefer! Although it pains us to say it, the fact of the matter is that there is more than one car scanning tool out on the market. That wasn’t always the case, however. We encourage you to not be fooled by rough facsimiles of the original auto scanner tool. At the end of the day, there is only one auto diagnostic tool provider that gives you the correct blend of service and software. No matter where you may find yourself in the world, Leonardo Diagnostic Tool gives you the training and equipment necessary to be independently successful when assessing your luxury vehicle. As you can see, our vehicle diagnostic equipment’s coverage is extensive. This coverage includes access to our technical support team as well as the best car diagnostic tool on the market. Why Should You Consider Leonardo? 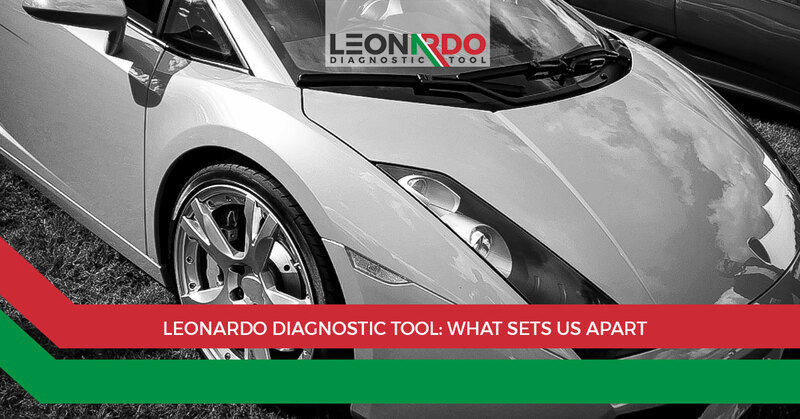 Aside from the aforementioned facts, there are plenty more reasons why you should consider Leonardo Diagnostic Tool as the solution to your luxury car diagnosis needs. We mean what we say when we tell our readers that we are committed to providing exceptional customer service. As evidence of this fact, every fall and spring we hold a training event in North America. In the spring, we have a training workshop in Naples, Florida. Our November event is housed in Las Vegas, Nevada. Who Is This Car Diagnostic Tester For? Excellent question! We are glad you asked us. If you own a luxury vehicle that falls under the breadth of our coverage, this diagnostic tool is absolutely right for you. The tool has been designed to specifically diagnose the entirety of the vehicle’s operational quality. Not everyone knows how to work with luxury vehicles, including mechanics. To that end, if you are part of an independent workshop service center or dealership, the Leonardo Diagnostic Tool could be a great resource which saves time and cuts costs. And remember, we don’t just send you the scanning tool and wait for you to ask us questions. Our technical training program includes practical information of the car diagnostic equipment strategy. Rest assured that we will set you up for success with a comprehensive understanding of the diagnostic car tool. You will be able to work on Aston Martins, Bentleys, and Ferraris with the confidence of Leonardo Diagnostic Tool’s innovative technology. If you are interested in learning more about pricing and customization, feel free to reach out to us today.